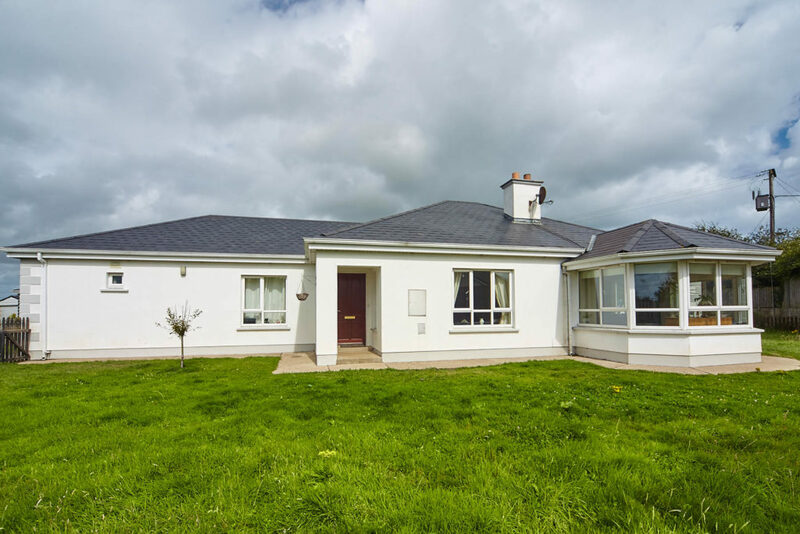 Hazeldene is a small development of five exclusive houses laid out in a horse shoe shape on the top of the hill in the village of Blackwater, Co Wexford. These five bungalows are larger than the average and are set on a large sites with off road driveway with cobble locked finish. 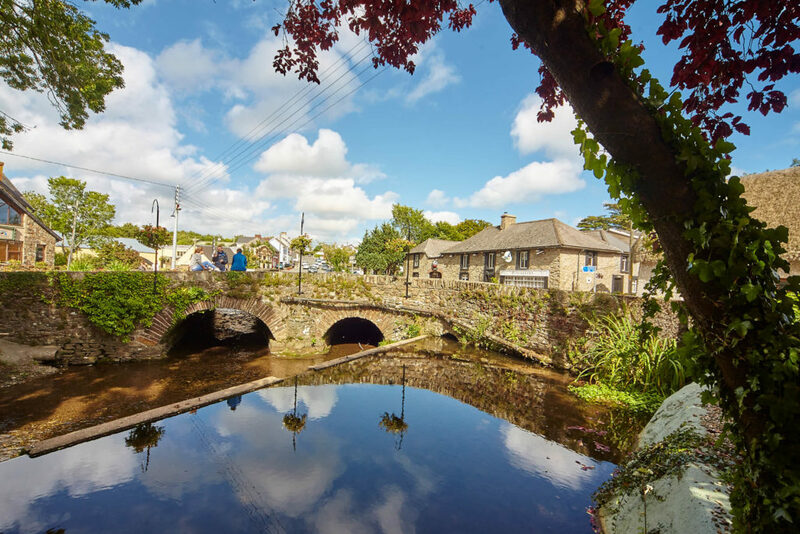 Blackwater Village is circa one mile from Ballyconnigar beach. 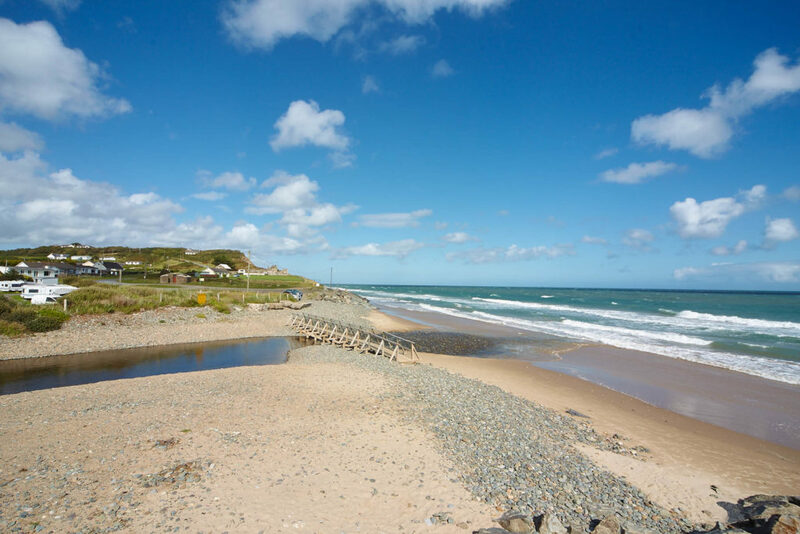 There is seven miles of a coastal walk from Balliyconnigar to Currocloe which passes through Ballinsker beach where the opening of the movie, Saving Private Ryan, was filmed. 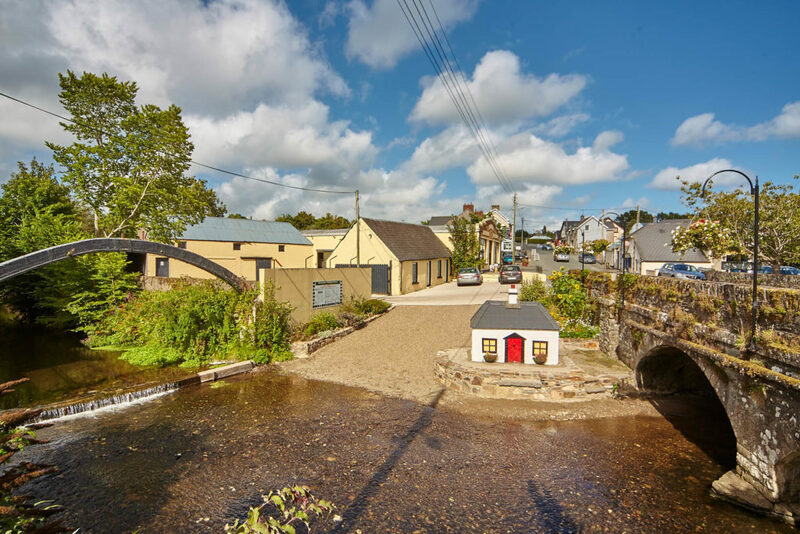 Blackwater is situated 16 miles north of Wexford Town with numerous amenities such as two supermarkets, petrol pumps, four pubs, a church and a primary school to name but a few. 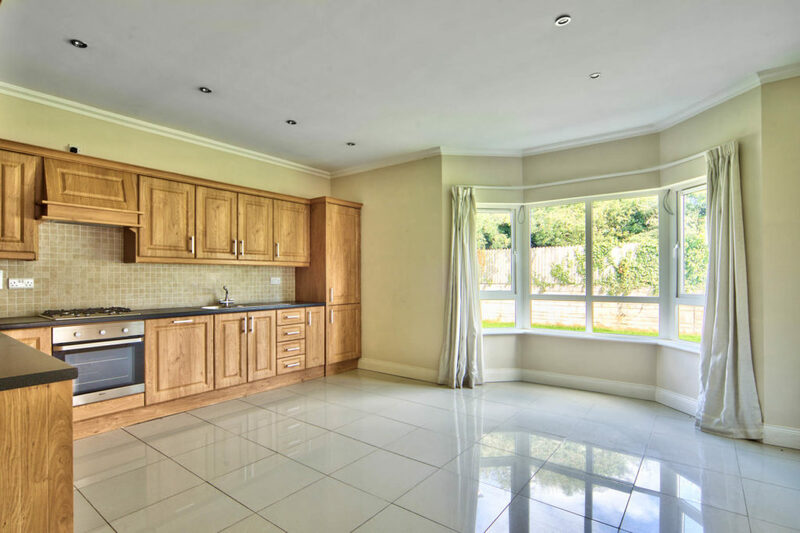 This property would be perfect for a family home or holiday home as it very spacious with a has a high standard of finish. 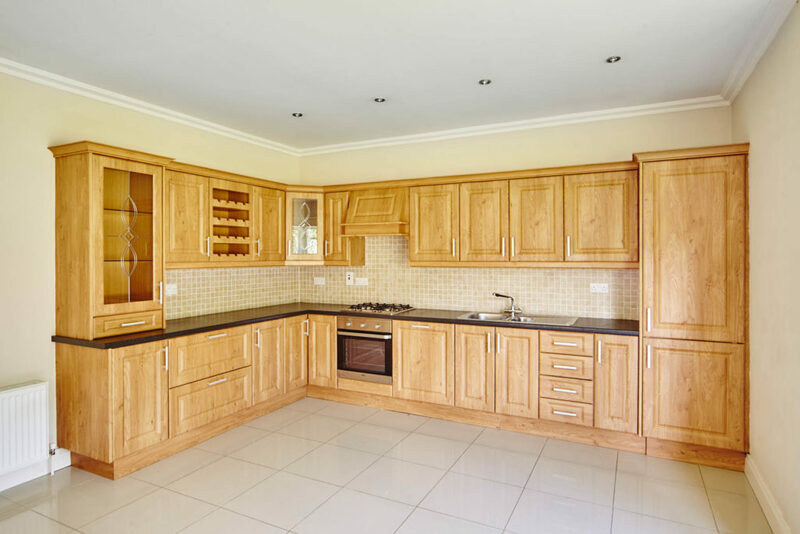 There is a wonderful sense of space about this property both internally and externally. 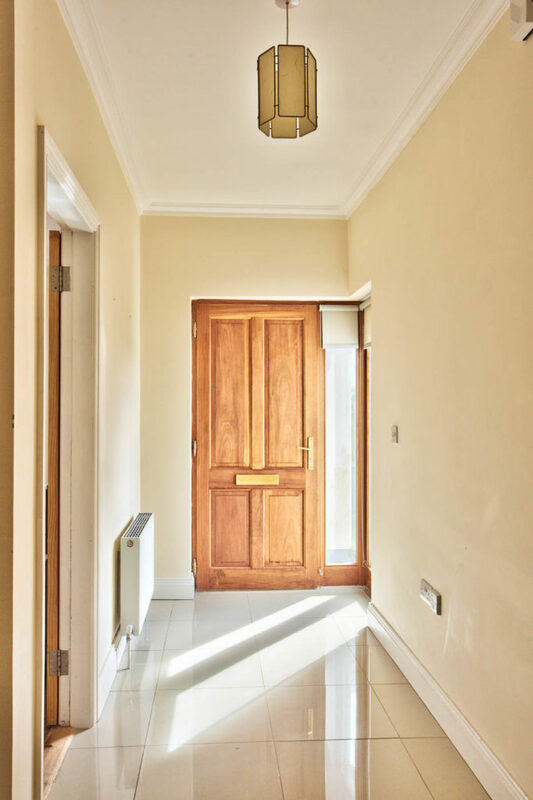 You access this property through the front door and enter a bright hallway with a door on your right to a large square shaped lounge with featured fireplace. 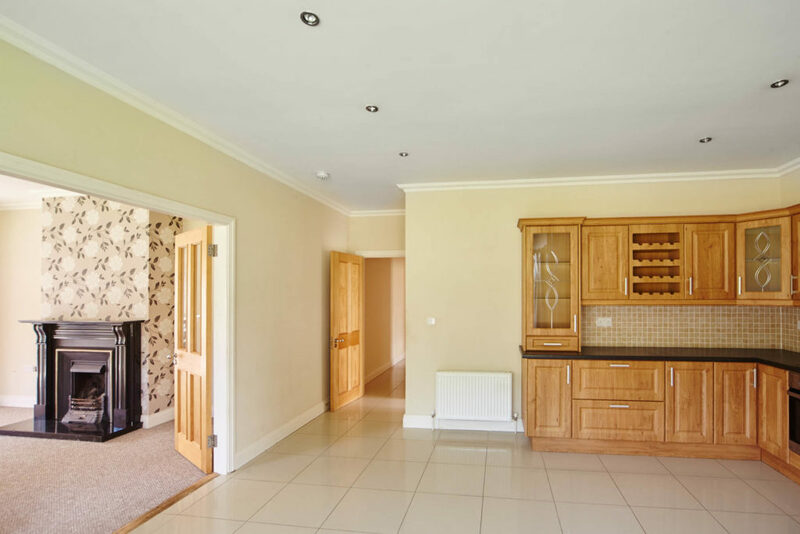 A short hallway leads to the very spacious kitchen with its beautiful timber waist and eye level presses and porcelain tiled floor. 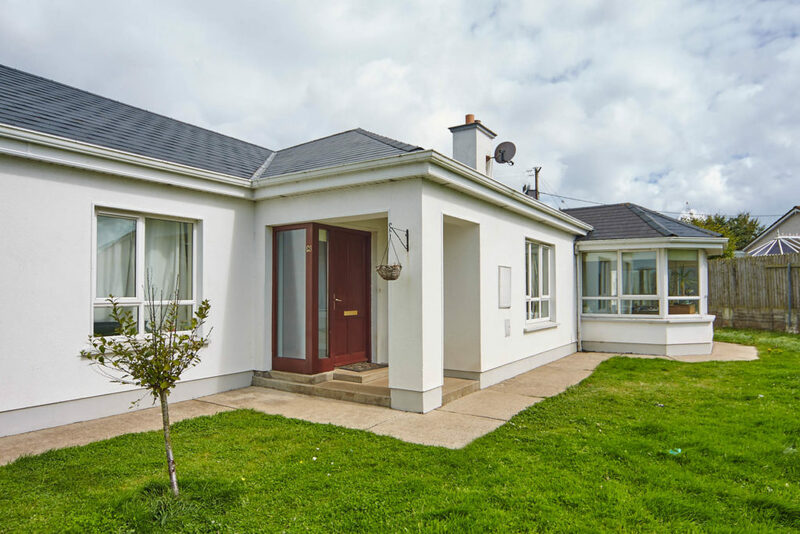 A door from the kitchen leads to a generous size utility with access to the side and rear garden. Double French doors leads from the Kitchen into the living room which has a lovely featured fireplace and fire surround. 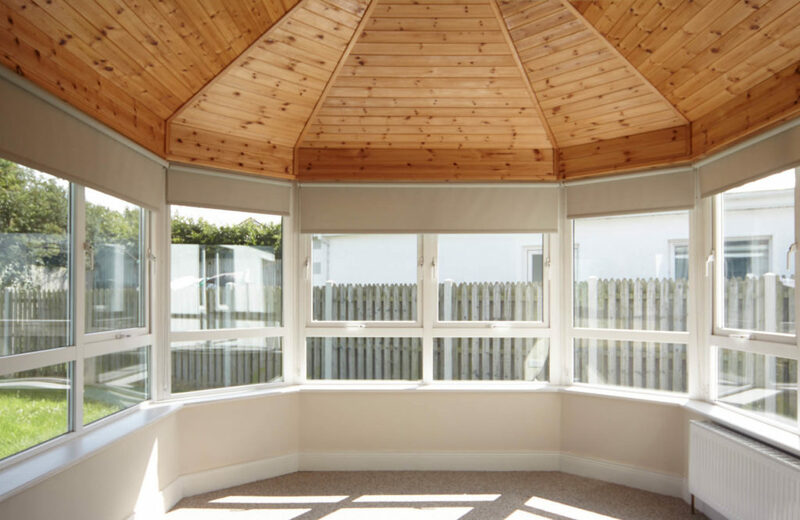 Attached to the living room is a large conservatory overlooking the garden. 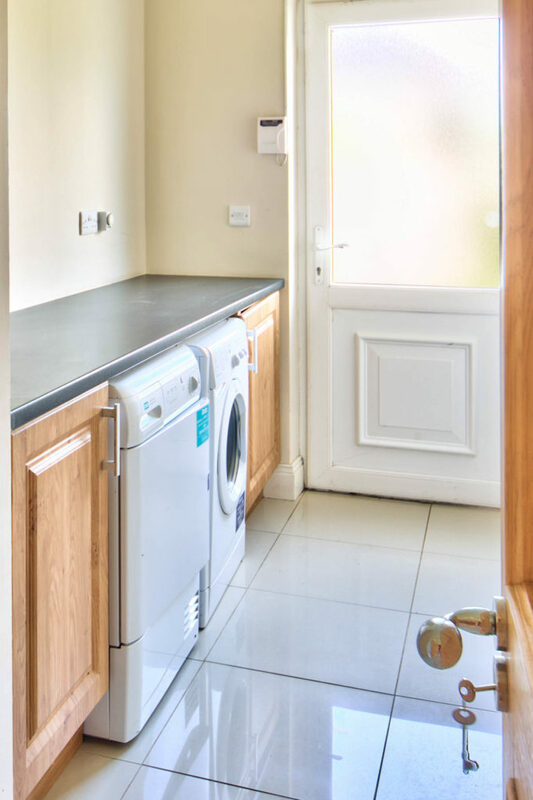 Located to the rear of the property this is a lovely spacious family space with eye and waist level fitted units, integrated appliances, ceramic tiled floor and splashback wall tiles, recessed ceiling lights and lovely large bay window and double doors to family room. 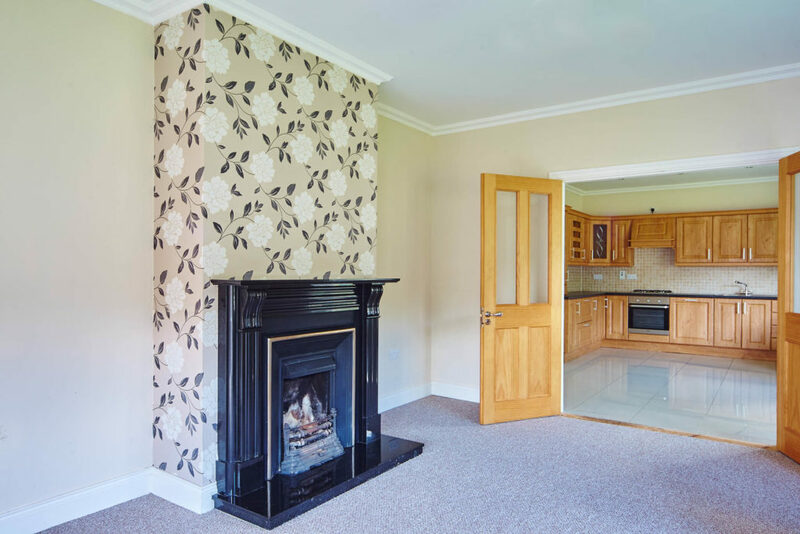 Double doors from Kitchen/dining lead to this room with open fireplace ready for stove, carpet to floor. This room opens up to sun-room. With ceramic tiled floor and vaulted timber ceiling. 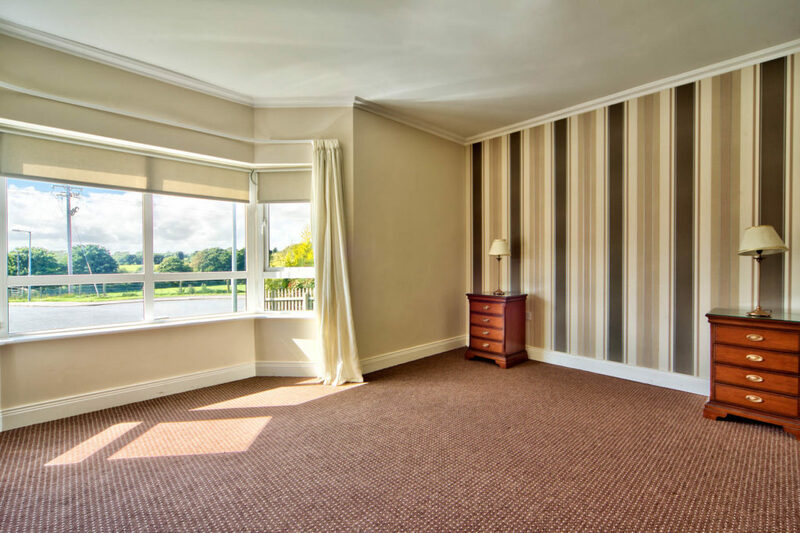 Lovely spacious room to side of house with open fireplace and carpet to floor. Bath with Triton T90 electric shower over bath, w.h.v. & w.c., ceramic tiled floor and walls. Floor to ceiling ceramic tiles, bath with power shower, w.h.b. & w.c.
From Wexford drive out over Wexford Bridge, take the right for Curracloe at Fahy`s cross. 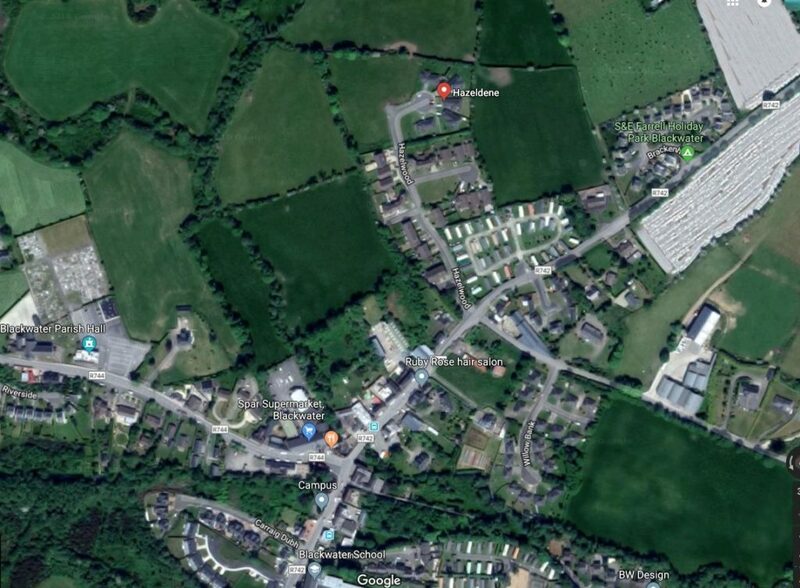 Drive through the village of Curracloe and continue to Blackwater, in the village drive straight up the hill towards KIlmuckridge, at top of hill there is a right turn for Ballyconnigar Beach and development is located on left hand side. Drive through Hazelwood and on to end of development where you will find Hazeldene.